We have been fishing two rods, one per downrigger, and for the most part have been right on the bottom with glow flashers and glow spoons. Our top flashers this week have been the Salty Dawg, Green Onion Glow, Chartreuse Glow, and Lemon Lime. Productive spoons have been the Pesca 3.5 RSG in any colour that has some glow and green or blue on it, like the Janitor, Bogart, Blue Balz, and Sucker Punch. We have been doing very well on the new Pesca 3.5 Forage as well. You have heard us talking about this spoon for the last month and now it is available at the shop. This spoon is a little skinnier and seems to be hot right now, likely because the fish are feeding a lot on anchovies where we have been fishing. The Forage is a great spoon to mimic this skinny baitfish due to its slender profile. Hot colours have been the Gut Bomb, Tricky Tee and Pacific Angler. One thing to note is we are starting to see some suspended bait and when this happens you have to adapt and bring at least one of your riggers up to that level. We did hit a fish at 60 on the rigger this week in about 110 feet of water. Although the vast majority of our fish have been on the bottom, if you do see suspended bait balls, don’t hesitate to bring some of your gear up to that level. 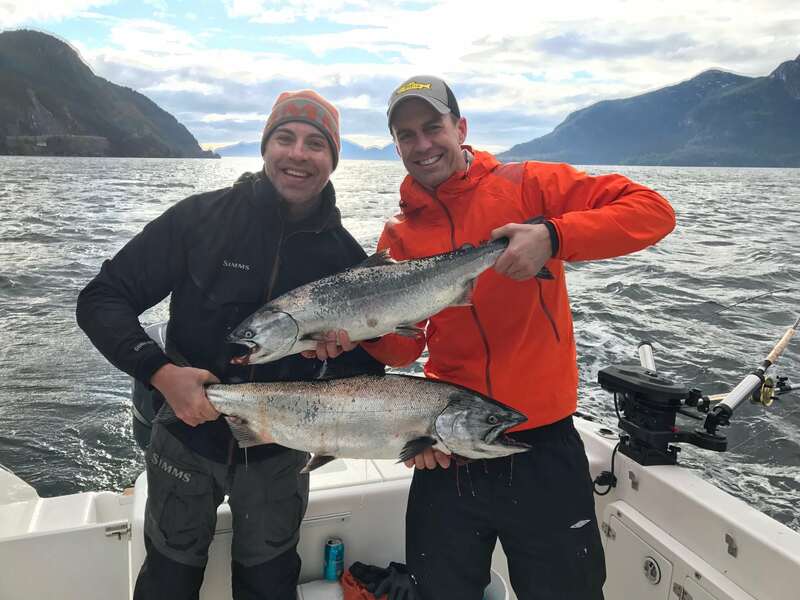 Jason from Pacific Angler and Corey from PSF with a couple of nice chinook from Howe Sound last weekend. Nate from Postmark Brewing behind the wheel. 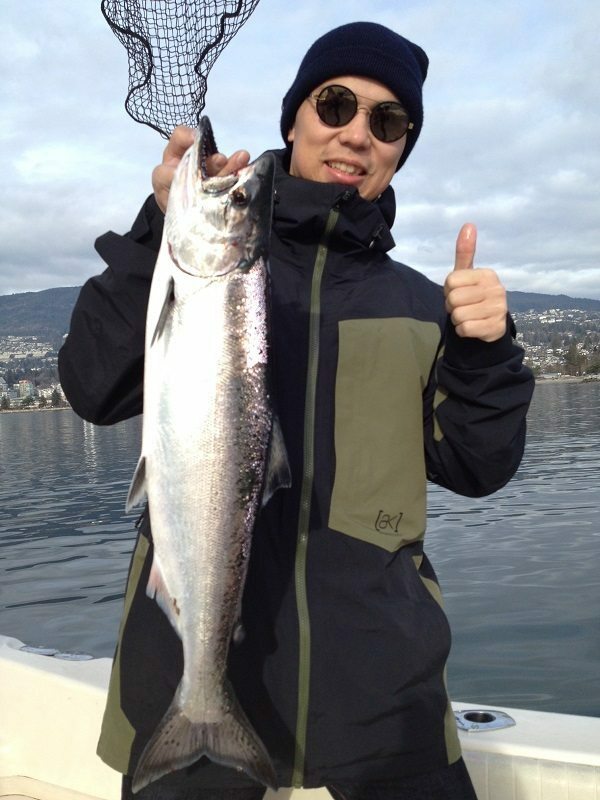 If you want to head out fishing and crabbing or prawning, the fishing is on right now, so give us a call to book a trip!